It is possible that “early music” is the most neglected musical “genre” on Earth. I’m not kidding. I mean, some of you, educated listeners that you are, probably have little idea of what it is, and that’s a shame. The reason why it’s been so neglected is that this revived genre, which really hasn’t existed that long (in revival, I mean. Not since, um, the time when it was not early) tends to get lumped in with the shrinking world of classical music. 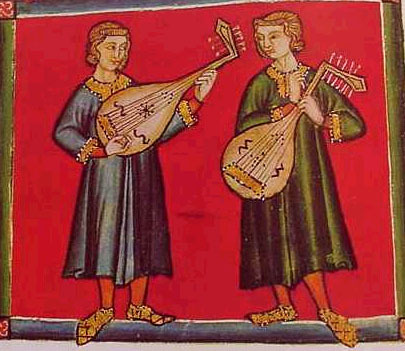 And while there is unquestionably a connection between certain types of early music and what developed into Baroque and then classical music, there are also equally strong connections to be made to world music, folk music, and even strong aesthetic parallels with very modern genres like certain kinds of rock music and ambient. But the fact that early music is generally filed away in a small subsection of the classical music department on the seldom visited top floor of your local mega record shop (if your town even still has one of those) has been a factor in it not crossing over enough to be of interest to fans of those aforementioned sorts of music. The other factor is that it’s traditionally been the musical territory of academics, the last people you want marketing something. What is early music? Well, like most genre names it’s such a big umbrella that it seems almost silly to try to explain all that shelters beneath it. But basically it’s pre-Baroque Western music from medieval times to the Renaissance. Starting in the mid-twentieth century, attempts were made to reconstruct what the music of, say, the fifteenth century would have sounded like, based on surviving notation. This can include ecclesiastical or monastic music, like plainchant (we all remember the brief Gregorian chant craze, right?) and polyphonic vocal music by composers like Tallis or Dufay. It can also include courtly music that would have been played as entertainment in the homes of the aristocracy, or it can even include the music of the streets that gradually morphed into the European oral folk tradition. There’s an interesting variety of interpretation. Some acts, classically trained, treat the repertoire delicately, doing quite formal and restrained classical-style interpretations, while others, assuming that the voices of 1400 were rough and untrained, sing in a lusty and unrestrained fashion. The current style of choice has kind of see-sawed back and forth since this music started to gain some traction in the late sixties. Interestingly, while early music is now filed under classical, back-to-the-land hippies played a strong role in forming the first consorts and cameratas, since, like folk music, tunes from pre-technological, simpler times were very appealing to the musically adventurous peace and love gen, for whom the journey from The Beatles to The Incredible String Band to the lute songs of Dowland wouldn’t have been that much of a stretch. This still may sound very academic to you, but I assure you it is not when you actually listen to this stuff. I will simplify by dividing early music not by era (I mean, the musics of 1450 and 1650 are bound to be quite different, after all) but by instrumentation and purpose. Unaccompanied music often had a sacred purpose, with its origins in monastic singing and in choral music. Some of the most beautiful music ever made is the celestial vocal sound of early Western sacred music, some of which I’ll talk about below. The shifting, undulating sounds of the sublimely arranged polyphonic vocals of early sacred music composers strongly resemble the efforts of ambient and new age musicians to create contemplative moods and tranquil atmospheres. Secular music for instruments, sometimes songs and sometimes instrumentals, either had a courtly purpose to accompany meals or for entertainment and dances, or was the music of the man in the street. This is the most difficult music to revive. First, we don’t know exactly what style they sang in. Second, while instruments have survived and we can reconstruct them, we don’t necessarily know what the combinations might have been — which allows for a lot of creativity in the makeup of an ensemble. This sort of music is often based on exactly what you’d hear from a folk or rock band — a singer accompanied by a single instrument, or a band that represents each of the sounds we’ve come to expect: percussion, bass notes, lead instruments, rhythm instruments. It’s all there in just as exciting and compelling a fashion as we find in rock ‘n roll. This stuff is rock ‘n roll. The Western world (at least the wealthier part) just took a three-hundred-year snooty break in between! This is not to denigrate the classical repertoire. I admit, the music of these cultural giants of our civilization, Mozart, Beethoven, Lizst, Chopin, you name ’em, mostly leaves me cold, and this isn’t the time to get into why. I was in high school when an older sibling, a talented classical musician, introduced me to early music around the same time I was discovering the joys of progressive rock, folk-rock, psychedelia and other associated genres. This supposedly archaic music fit in perfectly with the stew of amazing tunes I was stuffing into my brain, and as my tastes expanded even further into the music of the world and into ambient and avant-garde, the fit got even better. Just trying to figure out what a sackbut is and what a theorbo-lute sounds like is fun enough! Still, getting into this music can be intimidating, mainly because labels haven’t realized the broader appeal inherent in the music. Sure, the albums are usually conceptual (the work of a particular composer, or manuscript, or social or religious purpose) and are often packaged attractively, but the feel is very classical — just try looking something up on iTunes. You often don’t know if you should use the name of the composer(s), bandleader, ensemble(s), etc. It’s quite confusing and a lot like trying to decide which recording of a particular piece by Bartok to buy. This is not good. If they kept it rock ‘n roll simple and had only a couple of bits of metadata on the cover, this stuff would come across way hipper (see how Sequentia does it below). And that moves units, academics! Even you guys like to shift units. This is compounded by the fact that early musicians tend to be quite prolific and their discographies can be intimidatingly large. Nonetheless, early music influences did somewhat creep into rock . Phil Pickett has contributed his early music instruments to Richard Thompson’s roots rock albums, including the Grammy-winning Rumor and Sigh. In the early seventies, early musicians collaborated with British folk-rock bands like The Albion Band. Renowned British guitarist John Renbourn played sixteenth century dance tunes. Prog-rock bands Gryphon and Gentle Giant were highly influenced by early music. New age cheesemeisters had big hits sticking beats under Gregorian chant. Swedish folk-rock band Garmarna made a trip-hop/Hildegard von Bingen fusion album. Italian ambient musician Alio Die has made a series of enchanting albums using manipulated early music. But still, early music has not made much of a dent in the general musical consciousness. So here’s my little attempt to help rectify that. Here are a few albums that you might want to check out to introduce yourself to an awesome piece of humanity’s musical heritage, preserved and built upon by some crusading musicians over a forty-year period. I checked, each is still available via iTunes, so you can’t say I didn’t try. Where possible, I’ve found a sample. The Hilliard Ensemble members are basically the big, bad grandpappies of early music vocal groups. Nobody makes better recordings, and it basically don’t matter what the piece is, their recording is usually the best, both in the performance and atmosphere. They’ve recorded for many labels but achieved prominence through a series of albums for the remarkable ECM label, which as we know usually focuses on Euro-jazz. In particular, some collaborations with saxman Jan Garbarek were well-received. 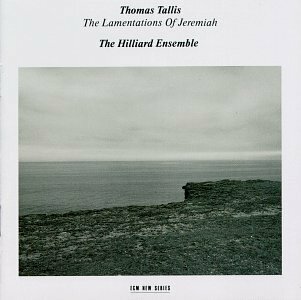 But this album, masterful renditions of two cycles (the other being a mass for four voices) by renowned sixteenth century composer Thomas Tallis, was the first early music album I ever owned and is still my favourite, and that’s not just sentimentality talking. There’s an eerie, otherworldly quality to the perfection of this interlocking polyphony that is half in the greatness of the performance and half in the best natural hall reverb I have ever heard. It really takes you to a misty, leafy monastery courtyard. Well, not literally, but it really does make you feel like you’re in one. If I were to be buried and not burned up (a little TMI about my final wishes there), this well-loved, scratched CD would be buried with me. Other Hilliard Ensemble albums you must have are The Old Hall Manuscript, Perotin, and Codex Speciálnik, among others. You simply must. Apparently after forty years the group is breaking up this year. Thanks for all this wonderful music, chaps. Mmm, well, cheating a bit. There are instruments on this album, but heck, it fits better with the vocal category. 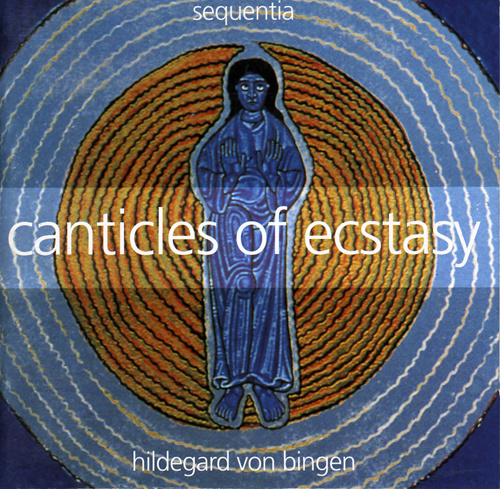 German-American group Sequentia helped start a bit of a mania for twelfth century abbess Hildegard von Bingen, who, it is true, was a remarkable figure, a pretty powerful lady with political clout as well as a remarkable artist. Whether she should be viewed as a feminist icon I will leave to the discretion of others. In any case, her compositions are characterized by soaring, sweeping group vocals, which are rendered powerfully by the ensemble, and enhanced by droning medieval fiddle and delicately plucked harp. This is where I do believe medieval music crosses paths with ambient, because the trancelike effect is really quite similar to that induced by the works of Roach, Rich, Brennan, etc. The celestial perfection of this recording was subject to well-deserved acclaim. And the album cover? Genius, it doesn’t look the least bit classical. All-female vocal group Anonymous 4 is one of the most popular early music acts, and they have also crossed over into doing some more interesting folk-based recordings (such as Gloryland) as well. 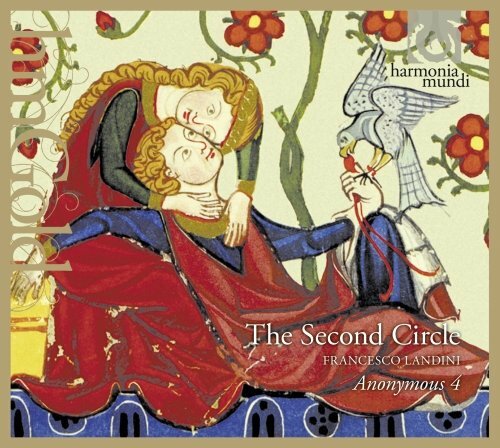 To prove that not all vocal music was sacred in nature, I present this lovely collection of songs by a swoony fourteenth century Italian fellow named Francesco Landini. While these lovely songs could be about Jebus for all we know or care, they are in fact dramatic love songs in that old stylized way, you know, oh I lust for you sweet, unattainable maiden — good thing I can’t have you because if I could that would lead to sin and then I’d be tormented in hell, etc. etc. Anyway, the purity of the female voices makes for a fine a cappella hour. By the way, like Sequentia, these ladies and their label know how to package an album properly. Nice cover. Paul Hillier was actually a founder of The Hillard Ensemble but has since struck out on his own, producing wonderful recordings not only in early music with a new group, Theatre of Voices, but also of such modern luminaries as John Cage, Karlheinz Stockhausen and Arvo Pärt. So Hillier’s a pretty cool dude. 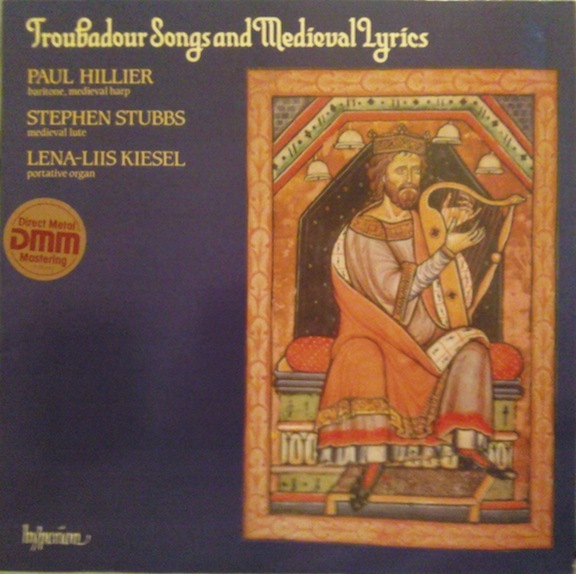 This older album is a classic collection of troubadour songs arranged for sparse instrumentation and Hillier’s voice, such as you’d actually have heard back in the day, so to speak. The songs are both spiritual and secular in nature and hail from both France and from the UK and even Norway. This is the kind of thing your stereotypical troubadour would be crooning as he made his way around the land, sorta like the James Taylor of his era. OK, I hate James Taylor’s music — bad example. Let’s go with like, John Martyn. Hillier’s a baritone, like me, and you know, an album of stentorian baritone troubadour songs is surprisingly charming in addition to being of historical interest! This collection of sacred music from Jordi Savall’s ensemble, possibly the world’s most prominent (and maybe most prolific), sounds pretty darn ancient — another album that must have been recorded in a place with a lot of good natural reverb. The source is: “a manuscript collection of devotional texts containing, amongst others, some late medieval songs. 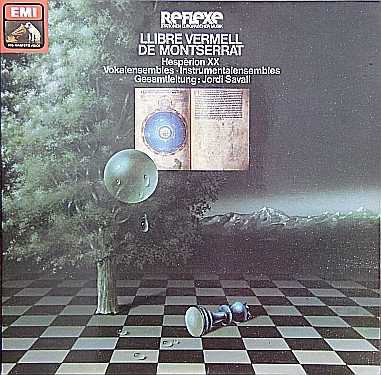 The 14th-century manuscript was compiled in and is still located at the monastery of Montserrat outside Barcelona in Catalonia.” These hypnotic songs with group female and choral vocals are sure to get the pulse racing of any Popol Vuh fan — in fact, this music is closer in spirit to Florian Fricke’s later spiritual “choral” works than any rock music is. Another parallel that I probably shouldn’t draw is with the over-the-top soundtrack to the original Conan movie. (“Crom … so grant me one request. Grant me revenge! And if you do not listen, then to HELL with you!”) Early music was no doubt a great source of inspiration in that soundtrack. The exotic instrumentation here includes a selection of bowed and plucked instruments (lutes, lyres, psaltery, etc.) played energetically but with a monastic dignity. 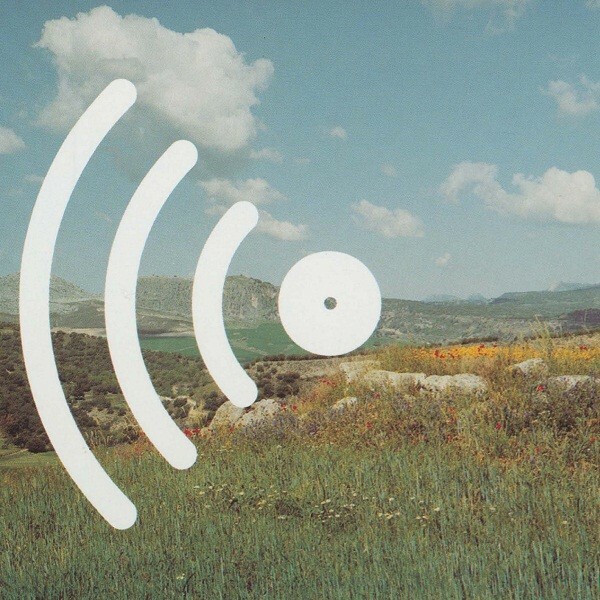 You really feel like you’ve gone a few hundred years into the past when you’re listening this hypnotic selection of songs, many of which are also based on bowed drones that inspire an extra spaciness. An aside: When I drag all of these albums into iTunes, the category says: classical. See what I mean? Jeez. Naxos, the budget classical label, has probably done more to preserve public interest in classical and related music than anyone. The label also has put out a ton of quality early music releases, which you can get on iTunes, etc. This interesting album is one of the better ones. 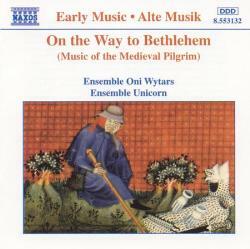 It’s a combination of medieval music such as you might have found pilgrims singing on their holy journey with the sort of music that we still hear in Eastern Europe (particularly Hungary), by which I mean trancelike, percussive Roma music (almost Sufi in mystical scope) or other music with Ottoman or Silk Road influences. The juxtaposition of snaky, percussive Arabian-sounding tunes like “Dinaresade” with stately Western European classics like “Edi Be Thu, Heven-Queene” really brings to life the meeting of cultures such as would have been found on Europe’s fringes before the Renaissance. 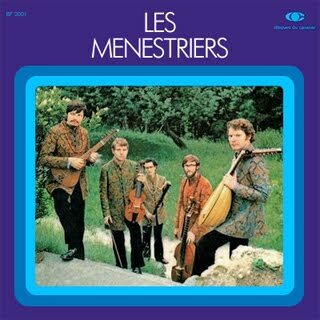 While this album is not a super classic or anything like that, The Dufay Collective is very good (and look how young and cool they appear in the pic!). This album provides a good example of early dance music, stuff with funny names like estampies, trottos, and salterellos. Each represents a different kind of dance, which would have been performed in an organized fashion (though not necessarily, I guess, depending on various boozy factors…). Some are dignified, while some are barn-burners (the Italian ones, of course). If you like folk music of the jigs ‘n reels kind, you will be interested in this rockin’ collection for the usual bowed and plucked early instruments but also some vigorous percussion. The Broadside Band is another venerable combo that specializes, I believe, in Renaissance music but also some Baroque. 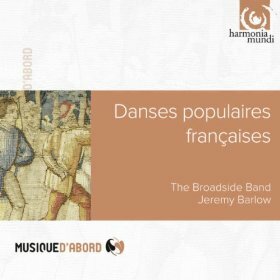 In any case, this is a great collection of French (and some English) dance music of the Renaissance, compiled from a couple of sixteenth and seventeenth century sources. This actually might fit your most typical aural preconception of early music, with playful recorder and lute weaving a cheerfully broad tapestry of Falstaffian proportions. Flip your powdered wig! You may even recognize a tune or two. This is seventeenth century rawk and roll, or as close as we get since the music of the moneyed classes would go on to become more and more mannered and restrained. Until Lemmy came along and blew it all up — or is that just my vision of musical history? This is probably more the antecedent of what is now traditional folk dance music. Another classy and pleasantly eclectic round-up. For the less esoteric adventurous amongst us, try “The Bones of All Men” by Phil Pickett (one of the UK’s leading lights in the early musick scene) and the venerable Richard Thompson. It sort of does for Early Music what “Morris On” did for the Morris. Maybe not as much fun as “Morris On” but it’s not a bad place to dip a toe into. Yep, that’s a good one — a nice fusion. Interesting article. 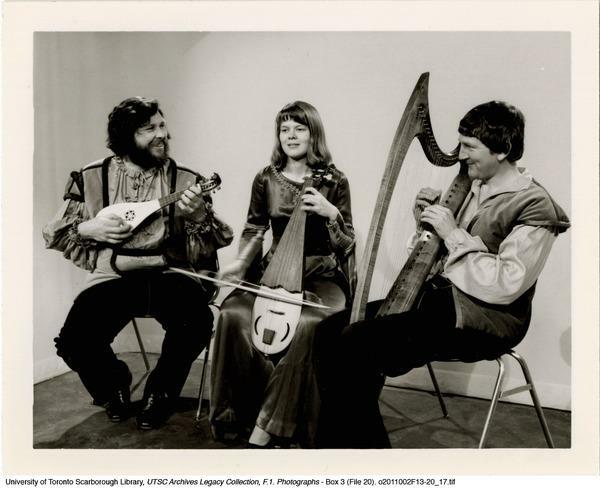 Is medieval music different from Celtic folk? Because that kind is really used in medieval movies and even festivals. Well, it could be said that it has a common source, but it is different; surviving medieval music that is not religious in nature was usually performed at court. Some of that music was derived from the music of the streets, to be sure, but there was more of a courtly troubadour tradition. The music we think of as Celtic is music that the “lower” classes would have devised for their own pleasure. Not always, but mostly. It’s all mixed up, but that’s the overly simplified version of it. Just a clarification, Garmarna are Swedish. Thank you – for some reason I often get Swedes and Norwegians mixed up, even though I know they are by no means the same!